Stillwater is our home for our Middle School and High School ministries, and includes Bible studies, weekly meetings, Sunday school, crazy events, and even periodic road trips & retreats! For more information contact Pastor Drew Wilkins. Puddles by the front door, the resulting frigid and soggy socks from them when you walk through them 10 minutes later; attempting to remember to warm the car up before you leave, but then chiseling ice off the windows because you forgot to; the sizzled of your shirt on your back from sitting too close to the fire, and the steely coldness once you've moved away. Winter, it's here and it's awesome, and Stillwater, be it a bit frozen, is here too. ATTENTION: Meeting times have changed! Jan. 10th — The First Stillwater! 7:00-8:30pm @ NPC (6400 Post Rd.). Reconnect after the holidays, experiment with the time change a bit, and dive back into the madness! …and also, there might be a little something going on upon the Tarp o’ Glory! Jan. 26-27th — NPC's Men's Retreat! For guys who are in Middle School and up. We’ll have dinner and a session on Friday, then come back Saturday morning for breakfast and two more sessions before lunch. The time will be spent in learning, small group interaction, and fellowship. $30, with scholarships are available. Click HERE for more info and to register! Feb. 7th — Ice Skating! More details to come, but we’ll be carving it up at Winter Park on McFerson Commons, just opposite Nationwide Arena. Get downtown to enjoy the view, dust off your hockey stops, finally land that triple axel you’ve been working on, and watch each other fall down a lot! Drop-off and pick-up will be at the Winter Park, but rides can be arranged by contacting Drew. Feb. 14 — Ash Wednesday / Valentines Day! — No Stillwater 💔 From ashes you came, and to ashes you will return - romantic, right? Feb. 28th — Solomon's Porch! You know those questions you're not quite sure whether it's ok to ask? This is the time to ask 'em. Anonymously write down any question about life the universe or anything, toss it in the jar, and we'll spend the evening reading and answering them through the lens of the Gospel. Oh yeah, and there'll be FREE PIZZA! Feb. 21-March 14th — Winter Wednesdays (6-7:30) & Stillwater (7:30-8:00)! More details coming on this soon, but this will be an all-family event with food options, large group games, and then MS Stillwater carrying through at the end! Mar. 9-10th — Overnighter! Laser tag, pizza, gym time, night games, late night movie, a good bit too much junk food and not quite enough sleep. Bring $15 for tactical laser tag, $5 for pizza, 47 friends, lots of snacks to share, and come join us for the 4th annual Middle School Overnighter!!! Click HERE for more info! Apr. 25th — The Annual Stillwater Ridiculously Competitive Memorial Mini-Golf Championship! Think you’ve got what it takes? Put together a team or just show up and throw down with a group once you get here. Either way, channel your inner Jack Nicklaus, and earn your piece of immortality with your name emblazoned on the Stillwater Trophy. $5 per person. May 2nd — End of Year Bonfire! Same time, same place, as typical Stillwater, but with lots more fire! Hotdogs will be roasted, marshmallows toasted, and opposing team members ghosted! …ok, that last one was a bit of a stretch, BUT COME CELEBRATE ANOTHER YEAR DOWN! Jun. 6th — Summer Kick Off! Hey, we missed you! I’ll get you more details, but you can expect a body of water, hotdogs, and the much anticipated Red-Belly Diving Board Exposition! Jun. 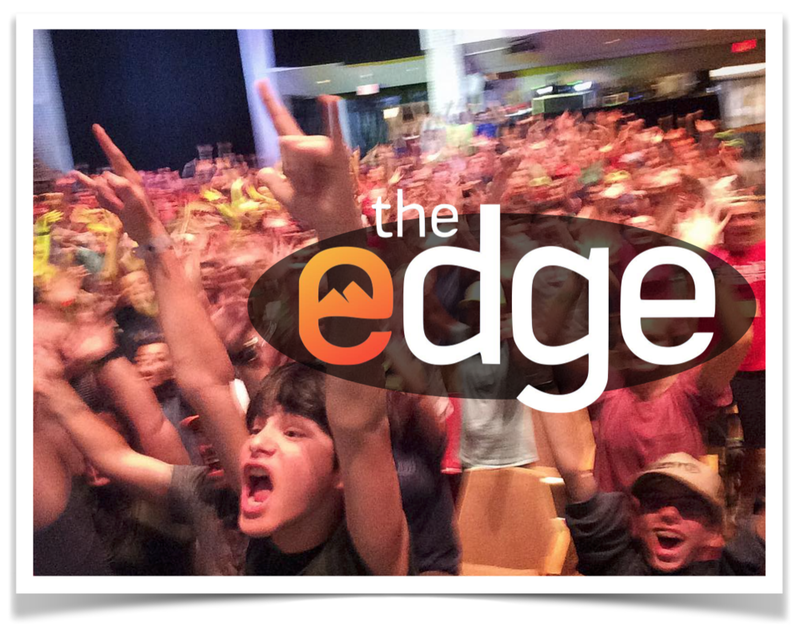 23-27 — The EDGE!!! Join over a thousand other students atop Lookout Mountain, GA on the campus of Covenant College while we spend time in God’s Word, rip down the mountainside slip’n’slide, run obstacle courses, have a crazy dance party, sing way too loudly, go a’pirating on white water rafts, and who knows what else! Jan. 14th — The First Stillwater! 6:30-8:00pm @ NPC (6400 Post Rd.). Reconnect after the holidays, experiment with the time change a bit, and dive back into the madness! Feb. 4th — Super Bowl Party! 6:30 @ Rachel & Isaac Hoadley's Home (5204 Forest Run Dr.) The ultimate game of the season, a halftime show that’s guaranteed to be absurd, lots of QUESO and other snacks, Ridiculous Commercial Bingo, prizes for Score Squares, and plenty of card/board games to fill the time. Whether you’re into the game itself or just the commercials, come hang out and fill your belly with delicious QUESO! Feb. 17-19th — Winter Retreat! A road-trip, frozen (potentially) waterfall, nocturnal wildlife hike, worship, study, late night in-the-dark games, amazing food, snowball fights, bonfires, board games, and all the ridiculous things that happen on retreats! Take this opportunity to set your phone aside, step into the beauty of God’s creation around you, dig a bit deeper into the gospel of Luke, and generally refresh your soul a bit. Click HERE for further details and registration! Feb. 25th — Ice Skating! $10 (rentals included), From 7-8:30pm. We’ll be carving it up at Winter Park on McFerson Commons, just opposite Nationwide Arena. Get downtown to enjoy the view, dust off your hockey stops, finally land that triple axel you’ve been working on, and watch your friends fall down a lot! Drop-off and pick-up will be at the Winter Park, but rides can be arranged by contacting Drew. Mar. 18th — Solomon’s Porch! You know those questions you're not quite sure whether it's ok to ask? This is the time to ask 'em. Anonymously write down any question about life the universe or anything, toss it in the jar, and we'll spend the evening reading and answering them through the lens of the Gospel. Oh yeah, and there'll be FREE PIZZA! Mar. 25th — Something Cool! Still around this first weekend of Spring Break? Come hang out! We’ll take stock of who’s here and what’s available and make a plan. Disc golf? Maybe. Go see a movie? It could happen. Fork Evan Thompson’s yard? Why not? Whatever we come up with, it’ll definitely be an adventure! Apr. 3rd — Easter! — No Stillwater. The man Jesus actually came back from the dead, and that’s worth taking time to celebrate! Apr. 29th — Scavenger Hunt! Think you know your city? Come put your knowledge to the test! Bring your own team or join with other stillwater members to venture out to complete challenges, find objects, put on public displays, and attempt to win the day! Who knows, there might even be prizes this time! May 6th — End of Year Bonfire! Same time, same place, but with lots more fire! Hotdogs will be roasted, marshmallows toasted, and opposing team members ghosted! …ok, that last one was a bit of a stretch, BUT COME CELEBRATE ANOTHER YEAR DOWN! Jun. 10th — Summer Kick Off! It’s summer - kick it off right! I’ll get you more details, but you can expect a body of water, hotdogs, and the much anticipated Red-Belly Diving Board Exposition! Jul. 15-21 — BridgeBuilders! This trip will yank you out of your comfort zone and put you to work crossing cultures, embodying your beliefs, learning at the feet of others, and sharpening your understand of what it means to follow God. Many summer trips with offer a lot to you; this one will ask a lot of you as well. Registration will begin after Spring Break. "...that is, in Christ God was reconciling the world to himself, not counting their trespasses against them, and entrusting to us the message of reconciliation. Therefore, we are ambassadors for Christ, God making his appeal through us. We implore you on behalf of Christ, be reconciled to God." Ever wonder exactly what it means to be a "Christian?" How exactly your life should be difference because of your faith? This year we're exploring what is closes to God's heart, and how he is working that out today and throughout history. Music & the Gospel (autumn) - We'll consider songs pulled from Billboard's Top 40, and consider the stories they tell, how the gospel of grace tells a different story, and what it might look like for reconciliation to be offered. The Greater Story (winter I) - We'll page through God's covenants with mankind from the very beginning, and consider the needs we experience that God is meeting by coming as the man Jesus. The Imitation of Christ (winter II) - We'll explore how Jesus himself pursued God's mission, and very practically what it looks like for us to model these things in our own lives, friendships, and experiences. Telling a Better Story (spring) - We'll examine what it means for us to be witnesses to God's mission in our own circles. We'll hear from volunteers each week about the difference God has made in their lives, as well as provide the opportunity to practice telling your own story of what Jesus means in your life. So what are we actually supposed to do with our faith? The book Acts, much more than simply a history of the early church, gives us a glimpse into the first century and into the continuing mission of Jesus through his Church. We'll consider the way the Holy Spirit reaches the world, and how we his people can respond in faithfulness. Curious about what kind of difference Christianity should make in your life? Come see where following Jesus might take you. We'll meet together for 10 minutes for bagels & coffee in the Library, and then break up in HS & MS groups. High Schoolers, don't get out of rhythm with the Word! Take this chance to keep yourself anchored in Scripture mid-week. We'll take time to order food & java, and then open up the Bible to read it through, talk it over, work how it can fuel our days, and then wrap up with prayer by 7:20. If rides are needed, just let me know! Like What You Hear? Come Pitch In! Breakfast and the Word! Tomorrow 6:30am at Starbucks! Don’t miss it. #Repost @npcdublin ・・・ Deadline is TODAY! | Visit the church website to register 2019 Women’s Conference Friday, March 1, 6:00 pm - 9:00 pm Saturday, March 2, 8:30 am - 2:30 pm Speaker Jen Pollock Michel will share about how God is with us in change, in loss, and in Christ. Each session will remind us that God in Christ has satisfied our deepest longings for home. All women are welcome to attend, including high school and middle school students! Contact Tammy Kuhn or Kara Conrad with questions! Thank you, Megan, for sharing your testimony with us. What a wonderful story about God’s faithfulness and trusting HIM. It’s windy out there but we still have Stillwater tonight!! See you at 6:30! MS Stillwater is still happening tonight! Join us at 6:30! No school tomorrow, and no B&TW! There are still plenty of Tuesdays to get up early, so see ya next week! See you tonight for MS Stillwater! Tomorrow at 6:30am is Breakfast and the Word at Starbucks. See you there!